The Basque Country has so much to offer – stunning scenery, elegant architecture, vibrant culture and arguably the best food in the world. But there’s much more to San Sebastián than an impressive count of Michelin stars. 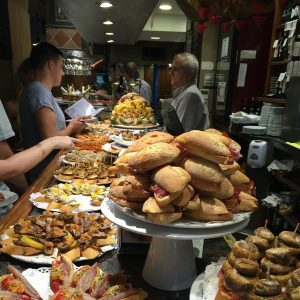 With hundreds of pintxo bars across the city, from the traditional to the experimental, it pays to do a little research so you don’t miss out. We hope to demystify the way of the pintxo, show you our favourites and inspire you to visit this amazing city – the ultimate foodie destination.